A friend first referred them to me 5 years ago and schedules didn't align afterwards to continue our partnership. Finally (finally!) 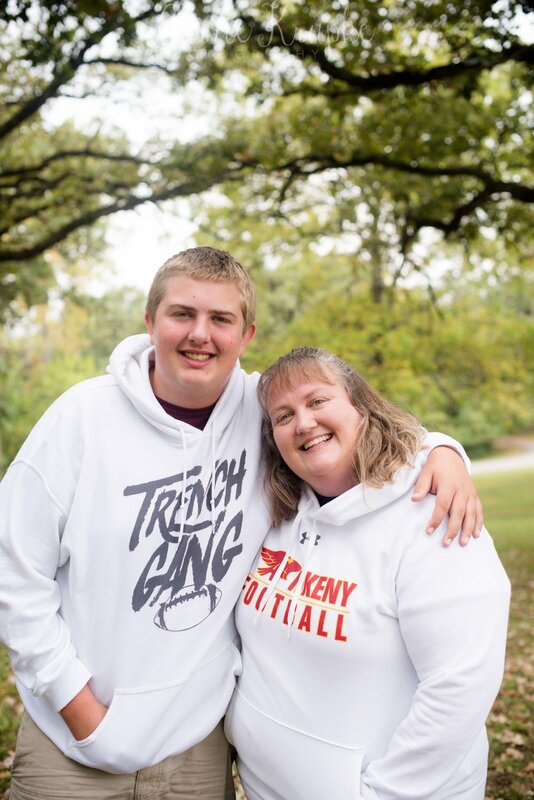 they have and holy buckets, Tyler is is driving and tackling the roads (and offensive linemen) of Ankeny. We wanted to document both big milestones in his life in a mini session with Tyler and his mom, Jennifer. This particular Saturday morning, there was rain all around our area, but somehow, it was as if God put a bubble around us (Laidy would call it a "force field" these days) and we didn't feel a drop! Tyler + Jen: I love how you two interact and laugh together. Such a sweet family to document! Give Ms. Sadie some snuggles for me and best of luck with the rest of your football season! !